“Dr. Fuqua is to be commended for her scientific tenacity as an ‘explorer’ as well as her spiritual veracity as an ‘explainer'. She demonstrates courage, curiosity, compassion and competence in her professional service and in her personal relationships." -Leo Sprinkle Ph.D., Professor Emeritus, University of Wyoming, Author of Soul Samples and numerous articles on ET research. She just released her second book, Cosmic Relationships: Exploring the Soul's Journey from Off-Earth, Earth Lives, and Reincarnation, a uniquely personal approach to understanding human relationships. Dr. Fuqua explores the past lives of herself and her four husbands. In this fascinating study, she seeks to give credence to her belief that there is no conflict between evolution and creationism. I met Evelyn nine years ago, in 2003, while doing research on past lives via the Internet and discovering we lived in the same area at the time, we quickly became good friends. Linda: Evelyn, I’m pleased to be doing this interview with you so my readers can learn about you, and your fascinating work. Tell us who or what has influenced your interest and studies in past lives and how your professional work led you into past life regression.? 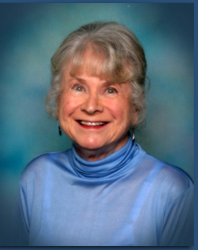 Evelyn: Back in 1981 when I was receiving the training necessary to conduct hypnosis as a Marriage, Family Therapist, I had a client who was deeply depressed, even suicidal at times. There was nothing in this lifetime that seemed to explain her problems so I asked her if she was willing to try going back into a past life. Since she was desperate, she agreed. I had become interested in past lives when I became a Rosicrucian and met a group of Rosicrucian ladies who were firm believers in reincarnation. While I thought this was an interesting concept, I was still a skeptic when I regressed this particular client. My client repeatedly went back into a lifetime in a small town in Kansas where she was killed in an automobile accident in the early 1950’s. Both she and her boyfriend were quite inebriated when the accident occurred. Her family was deeply religious and they were very disappointed in their “fallen” daughter. She apparently reincarnated rather quickly and came into this lifetime with a great deal of guilt. She was one of these very rare clients who remembered nothing of the hypnosis sessions even though there was much crying during the sessions. After dispelling these deep seated emotions, she was able to go back to her husband, had three children and was seemingly able to live a normal life. It was this session, plus meeting many professional people who did past life therapy, that finally convinced me that past lives are valid and a very effective form of therapy. Linda: Before we go on to tell us more about your new book, please tell us a little about your first book, and what led you to write it? Evelyn: Rose/Athor came to me as a client in 1988 with the goal of helping her overcome her environmental illness (aka chemical sensitivity) through the use of hypnosis. She had seen my ad and photograph in a metaphysical magazine and was convinced that I was THE THERAPIST she needed to see. I had never dealt with such a case before but she had a fascinating background and I finally agreed to see her for no fee as a research case. This led to almost three years of therapy in which through bits and pieces we were able to finally make sense out of her saga of being an aspect of one of the Beings of Light on the Council of Twelve on the etheric plane of the star system Sirius. Athor is listed as a co-author since she wrote her autobiography as part of the story. This was such a fascinating story that I felt as if I was being guided by the Council of Sirius to write this book in order to give professional validity to Walk-Ins, Soul Exchanges, etc. Linda: What book or books have influenced your life? Evelyn: There is a River, about the life of Edgar Cayce; Autobiography of a Yogi, about the life of Yogananda; all of the books from Religious Research in Florida; and numerous books published by the Rosicrucian Press. Actually I have a huge metaphysical library and have read a great deal that has contributed toward my present belief system as reflected in Cosmic Relationships. Linda: I have never been regressed, but years ago I had thought about it after taking a six-week class with Dr. Hazel Denning (a friend of yours) I guess life got in the way, and I never scheduled it. At the time, she was teaching parapsychology classes at the University of California-Riverside. Then later, Dr. Brian Weiss came long with his books, which I recommend to anyone just getting into these studies. But Evelyn, I admire you, Hazel, Dr. Weiss, and many other professionals who come forward with such credible, inspirational, spiritual information to share. Did you have to overcome any obstacles in moving into the paranormal arena as a professional? Evelyn: It took a great deal of nerve to go from traditional therapy to past life regression therapy, and finally to working with extraterrestrials. The people who were/are traditional therapists are usually afraid to do anything that is questioned by the Board of Behavioral Sciences (professional governing board in California). I fortunately had retired from many years in the public schools as a teacher, then a counselor; therefore, I was not totally dependent on an income from my private practice. Indeed I received several letters from the Board of Behavioral Sciences cautioning me about the work I was doing. I responded each time apparently with enough legitimate information that I would not hear from them again, until perhaps a year or so later. I finally became disgusted with their harassment and continued to practice as a hypnotherapist after dropping my MFT license. I’m an Aquarian and knew that they were just way behind the times in their limited thinking! Linda: Does past life regression often, more than not, lead to healing of trauma or conflict a person has in current life? Evelyn: Not always, but quite often. The main benefit actually was to deepen one’s spiritual life since this is a very spiritual process. Linda: As I always ask writers that I interview---What is your favorite quote? Indeed if you can open your mind to some of the concepts in Cosmic Relationships, you will have taken a giant leap forward in your own evolution! Linda: What other words would you like to leave us with, Evelyn? Thoughts to ponder? Thoughts on our future? Evelyn: I am looking forward to 2012. Many of us seem to feel a new energy on the planet. There will no doubt be more chaos, but I have very hopeful that we are turning increasingly “toward the Light”. Linda: Cosmic Relationships will be available at Amazon Kindle soon, isn’t that right, Evelyn? I wish you the best with the book. I’m sure others will find your book as fascinating as I have. “We are at a time of great changes on Planet Earth. We need to ASK for assistance from the Beings of Light (This includes highly advanced ET’s – on Councils, etc., plus Ascended Masters such as Mother Mary, Hilarian, Jesus Sananda, Buddha, etc. and Angels). They will not interfere unless asked to help, just as you should ask for help from your guides and guardian angel. Please use the following visualization with a partner or group. “Visualize a ring of fire or white Light with rainbow colors swirling around us (or a group). Place the Planet Earth in the center of the circle. We ask for all the beings of Light who wish to assist in bringing peace, harmony, good will, unity and balance to this planet to do so. We invoke the highest levels of light to protect Earth and all of its inhabitants. As Athor states, if people all over the world did this on a daily basis, it would make a huge difference on Planet Earth. We can’t solve all these Earthly problems alone. We NEED the assistance of the more evolved beings. I thank my dear friend, Linda, for allowing me to share my thoughts with you.